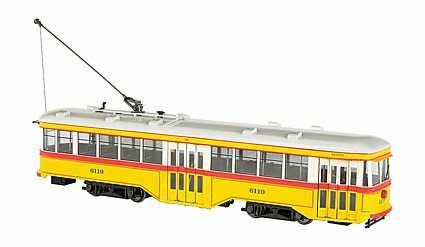 Bachmann 91701 Peter Witt Streetcar - Baltimore Transit Co. 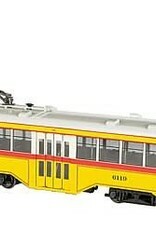 While serving as Cleveland's Street Railway Commissioner, Peter Witt designed an all-steel, single-operator streetcar that distinguished itself from others of the era by its use of the center door as an exit only. Passengers could pay the waiting motorman as they boarded at the front and exited at the center of the car, an arrangement which reduced stop times, improved schedules, and increased efficiency. Though designed originally for Cleveland, the Peter Witt Streetcar went on to service in cities throughout the world from the 1930s until the early 1960s.